I knew from the beginning that I was going to like Esther + Israel. It's customary that I send out a mood board for the couple to use to help them get inspired with props, location, wardrobe, etc. before a shoot. I sent it out to Esther and just a few hours later she had said she had prepared and used the mood board to help. What a gal... When I met she and Israel for our engagement photoshoot, things couldn't have come together better! 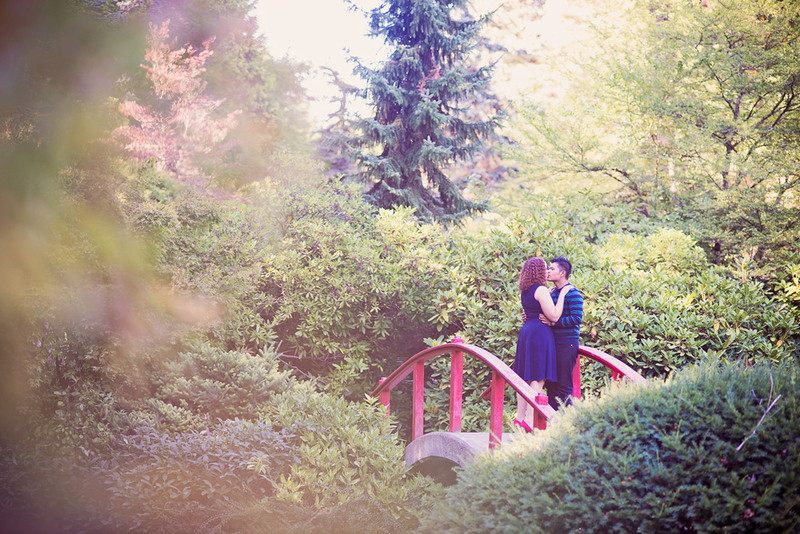 We photographed in the Kubota Gardens on a sunny afternoon. Esther was just full of smiles and Israel was the sweetest anyone could ask for. He clearly was so in love with his bride to be. The two met over a niece's first birthday almost four years ago. Since then they've liked experiencing new food and new places. They both came in, Starbucks in hand. They like getting into coffee shops too. They couldn't be a warmer couple, and such fun to photograph! You two packed our session full of smiles. And coffee. Thank you! What Could Be Better Than a Beachy Engagement?